After making a name for itself among indie developers, Itch.io is still figuring out how to resonate with consumers. Every so often, Leaf Corcoran reminds himself that he’s not building another Steam. As the founder of Itch.io, Corcoran has spent the last four years creating an online PC game hub that’s the polar opposite of Valve’s behemoth. Big-budget publishers are absent, and most of the 58,000 games in Itch.io’s catalog—from roguelike brawlers to raft survival simulators—are free. To further support indie development, shoppers can pay whatever they want above a minimum price set by creators, who decide how much commission—if any—Itch.io should get from each sale. More importantly, Corcoran and his crew go out of their way satisfy indie developers’ whims, even accommodating one-off requests. (In one example, Corcoran tweaked some back-end settings so that a game could sell a finite number of copies.) The standout quality of Itch.io isn’t so much its open payment structure or its unique catalog, but the sense of weirdness that facilitated those things in the first place. But as Itch.io tries to grow from a developer darling into something with broad consumer appeal, Corcoran has become aware that preserving those quirks won’t be easy. Hence the periodic reminders not to become the thing he’s pushing back against. “I don’t want to fall in that trap of just trying to rebuild Steam, and then I lose because I don’t have the engineering resources that they do,” he says. Corcoran started working on Itch.io in late 2012 as a response to Valve’s Steam Greenlight program, which used a community voting system to let indie games into the store. He wanted to create something more open, inspired by the online music marketplace Bandcamp. Developers would get to list their games for free and customize their game pages. Shoppers would be able to pay any price above a minimum as a show of appreciation, and the whole marketplace would be decentralized, with no way to browse the entire catalog or comment on any of the games. The first version of Itch.io—the name comes from a cheap domain Corcoran bought years ago—launched in early 2013, to practically no fanfare. Still, Corcoran took the criticism in stride, and eventually started getting some attention through his association with Ludum Dare, a long-running “Game Jam” series in which developers get a short deadline to build small games around a particular theme. Corcoran had participated in a few of these events, and decided to add competition-hosting tools to Itch.io, including submission forms, deadlines, and voting mechanisms. He also tried to boost his credibility with developers through meticulous documentation, making liberal use of animated GIFs to highlight improvements on Itch.io’s blog and Twitter feed. 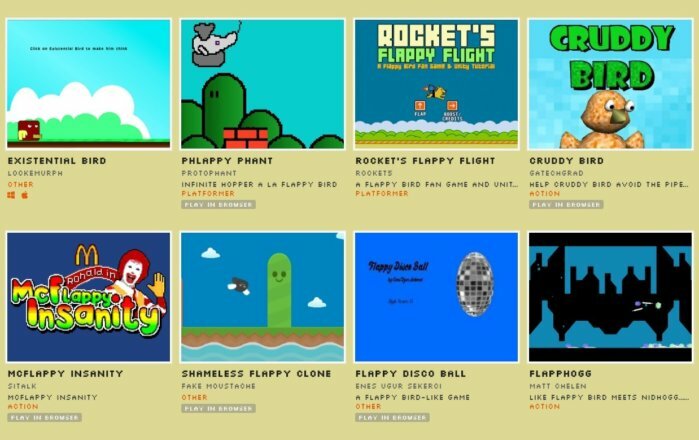 A breakthrough came in early 2014, when Itch.io hosted Flappy Jam, which paid tribute to—or gently mocked—Flappy Bird following its disappearance from the iOS App Store. Amid Flappy Bird hysteria, the event gained widespread press coverage, and Itch.io suddenly had hundreds of new submissions. The fruits of Flappy Jam, which helped put Itch.io on the map. “I realized I got super lucky, because the act of people just entering this jam introduced them to the platform, and all of a sudden, they were like, ‘Oh, this is kind of cool,’” Corcoran says. Through his newfound audience, Corcoran’s perspective started to change. He warmed to the idea of a centralized store, and added a way for players to comment on the games they owned. Customizable game pages are one of Itch.io’s defining features. The pinnacle of this approach is Itch.io’s early access program for unfinished games, dubbed Refinery. The program lets developers limit their number of sales, use secret URLs or password protection for game pages, and add tiered purchases and rewards. For updates, the patching system lets developers distribute only what’s changed, so players don’t have to repeatedly download full-size install files. Refinery arose in part from the concerns of one developer, Adam Saltsman, who a couple years ago became frustrated by the early access process on other platforms like Steam. 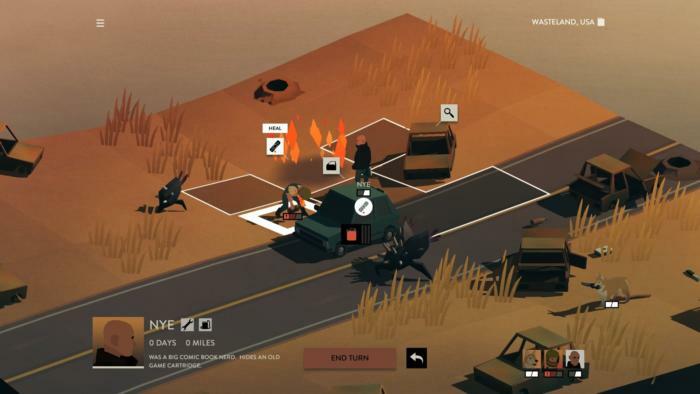 Saltsman spent months researching early access for Overland, the survival-strategy game he’s currently working on, and pitched several gaming platforms on the types of features he wanted to see. They all either ignored him or didn’t understand what he was trying to accomplish. “I was pretty mad for like three months,” Saltsman said. Saltsman was still seething in late 2015, when he ran into Corcoran at a developer event and started venting his frustrations. Corcoran offered to build the things Saltsman wanted, and Itch.io launched Refinery about six months later, with Overland among the first titles. Overland is exclusive to Itch.io as development progresses. Corcoran says that more than anything else Itch.io has done, Refinery has helped attract larger independent developers (or what he calls “triple-I’s”).